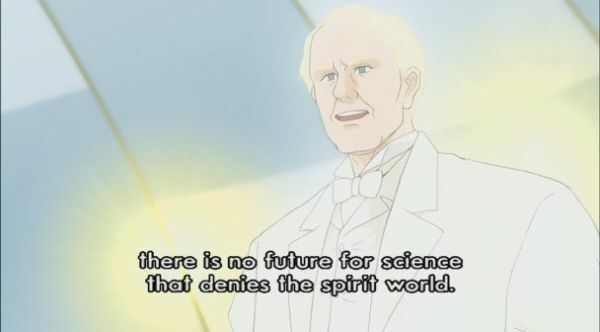 To take the next step and become useful in the world of tomorrow, we need to re-integrate science and spirit. I have written in the past that I seem to function mostly in the Yellow vMeme (as seen in Spiral Dynamics). I also said that I very much doubt I will ever go beyond that. This is as far as it goes, I thought. I am no longer so sure of that. Given enough lifetime, I think the upward pull may continue to take me onward to the next level. But it is an uncertain thing yet, and will be a close call at best. In the more religious terminology of Kofuku no Kagaku (Happy Science), the turquoise vMeme is called the 7th dimension, the realm of angels (saints) and bodhisattvas. These are people who live for helping others and keeping the world on the right track. In more psychological terms we may say they have transcended the ego as the center of their life. They obviously still have an ego, without which personal identity would not function. But the ego is no longer the axis on which their lives turn. During the Yellow vMeme we gain a systemic insight in how the world works, and realize that we are a (not very big) part of it. With this humility and understanding, we can look for the points where we can be useful and help the world (or rather our tiny corner of it, usually) get on the right track. But we still kind of do this at our convenience and for our own reasons. We are not compelled by a deep insight that makes us consider our earthly lives little more than a projection of a higher plan that was in action long before us and will continue to go on long after our passing. The last line is the key. As long as there are other beings who live in ignorance, confusion and suffering, those who have found the cause of these things must live to help them. For there is no true difference between us and them, we are merely instances of the same origin, branches of the same tree if you want. I have had the good luck in my life to meet people who were to some degree such saints. I say “to some degree” because people don’t actually fit into boxes. The levels we talk about are more like milestones along a road. And even that is not right, because humans are not that stable. We are more like waves. The sudden, foaming waves tend to fade as we grow deeper, but there are other, longer waves that I read about in the autobiography of saints. Some of these waves last for years. And there are still “peak experiences”, where for a brief time you see something you cannot understand in your everyday state of mind. To make things even more complex, humans have different lines of development in their lives, and some lines may be far ahead of others. For most people, the cognitive line – theoretical understanding – is far ahead of the rest. This is why a child can agree and expound on why homework is a good idea in theory, as long as he does not remember that this may mean he has to do his own homework too. This is not actually hypocrisy, because you are on your way to it. The hypocrisy is to consistently pretend that you have already reached the level you have seen ahead of you. Mocking your children in such a situation will cause them to lose courage. This is expressly forbidden in the New Testament. I cannot offhand think of a similar injunction in other religions, but it should come automatically when you understand how the human mind works, whether or not you are religious. The purpose of religion is of course not to control you, but to bring an understanding of the human world – which is mostly a world of the mind – in a consistent framework. The more you understand how the human mind works, the more your understanding will become similar to a religion. Neither Confucius nor even Gautama the Buddha intended to start a religion; their teachings were philosophies of the mind. But all you need to change that into a religion is to start worshiping the philosopher and add some decorative props. In any case, whether or not you feel religious, you need to develop a deep understanding of the human mind, because that is where we actually live. The experienced human world is not made of quarks and gluons. Actually, let us make a short stop right there. According to current scientific knowledge, quarks make up the neutrons and protons in the nucleus of the atom. Two Up quarks and one Down quark make a proton, while one Up quark and tow Down quarks make a neutron. There are many other types of quarks with varying properties and interaction, but only those two are part of ordinary matter and always in those combinations. Now, say that someone is an expert on quarks. He knows them all by name and can list off all their properties and interactions, as well as when they were theorized and by whom and when they were discovered and where. In short, our friend is a veritable quark genius. But unfortunately he has forgotten, or never learned, the rather narrow connection between this “realm of quarks” and the atomic nucleus. While he is surely a genius, his knowledge is not actually connected to the world he lives in. This is how it is with many people. They know a lot of things but they don’t know how these things connect to the actual life we live as humans. I used to be like that too. I would collect random facts but I did not connect them in an unbroken chain to the actual life I lived. A characteristic of the Yellow vMeme is the ability to see things as systems, to see them as integrated, to see where they fit together, see one thing as part of another. But there is still often something that is lacking: Seeing oneself in all this. We may see our bodies as part of an unbroken physical structure, but the actual experience of being ourselves is separate from this. We may have learned some theory about the mind being a product of the brain, and since we know a lot about matter and very little about mind (not to say spirit), we kind of take the easy way out by labeling the mind as a kind of by-product of the brain. So the brain, we think, makes mind in much the same way that the kidneys make urine. If we stop at this stage, a disconnect continues to exist between what we actually experience as true and what we theoretically claim to believe is true. If we explore the world of the mind, we realize that it is very large, very detailed, and governed by its own laws. These laws can not be derived from the physical laws that govern the material brain. Let me take another example. Let us say you have a coworker who is supposed to analyze data on his computer, but then the boss walks in and finds him playing a computer game instead. The unlucky fellow makes the following excuse: “But it was on the computer!” That’s pretty lame, don’t you think? But the fact is that a lot of people run software on their own brain that everyone with good sense should realize will not get the job done. You cannot just explain that by saying “my brain did it!” This is the kind of disconnect we have a lot of in our age, and we have to get past this to get to the next level. Our fascination with matter is not quite a bad thing. Thanks to it, we now live longer and healthier lives, we can enjoy pleasures fit for kings, and accomplish what would recently have looked like miracles. Like communicate with people all around the world in the blink of an eye. But at the same time, there are epidemics of problems that stem from the mind: Avoidable depressions, substance abuse, eating disorders, obesity, diabetes and numerous other lifestyle diseases. Statistics show clearly that deeply, actively religious people are less exposed to these. There has to be a way to integrate these worlds. To gain our spirit back without going back to the middle ages. And those who find the way are obliged to share it. This entry was posted in human mind, philosophy, religion and tagged Spiral Dynamics by itlandm. Bookmark the permalink.